Our business office team will be glad to submit the claim to your insurance company or Medicare for Pasadena Surgery Center charges. Standard outpatient procedures are usually covered by your medical insurance or Medicare. 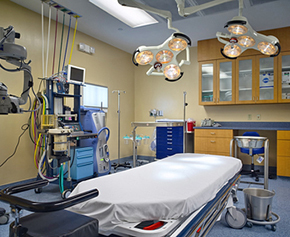 You will receive separate bills from the Pasadena Surgery Center, your physician, and your anesthesiologist. You may also receive a bill for any laboratory, pathology, or diagnostic services that you receive. For your convenience, we accept MasterCard, VISA, American Express, and Discover credit cards. We also accept cashier's checks, money orders, and CareCredit on the day of your procedure. We no longer accept personal checks at the time of registration. If you have not heard from us within 48 hours before your procedure, or if you have any questions regarding any of this information, please call us at 727-302-9200. Services may be provided in this health care facility by the facility as well as by other health care providers who may separately bill the patient and whom may or may not participate with the same health insurers or health maintenance organizations as the facility as applicable. A service of the Agency for Health Care Administration. Information found at this link is an estimate of costs that may be incurred. Actual costs will be based on the services performed.